Beautifully made, this 3 drawer coffee table will make for a standout piece of furniture within your home. 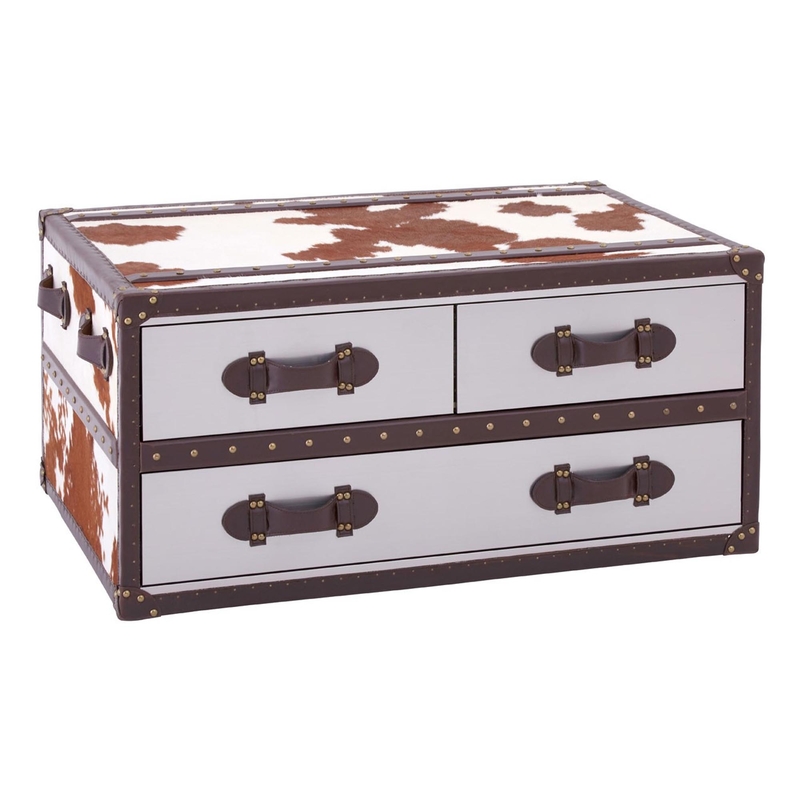 With its unique brown and white cow hide design, featuring metal and steel handles, this gorgeously made coffee table will bring the wow factor straight to your living room. Providing as much style as it does practicalness, this wondering coffee table offers generous storage space as well as plenty of table top space for your everyday needs.